This intensive three-day symposium brings together the world's leading medical scientists to share in a highly interactive environment the most recent advances in the field of atrial fibrillation . Online registration is now open. Special pricing on hotel accommodations at select hotels is available for attendees who book through AF2019 Housing Bureau. To receive CME acknowledgment for AF2019, attendees must first complete the course evaluation. Upon successful completion, your certificate will be available immediately. It is with great pleasure I invite you to attend the 24th Annual International AF Symposium on January 24-26, 2019 at the Seaport World Trade Center, Boston, Massachusetts. The AF Symposium was initiated in 1995 in response to the growing epidemic of atrial fibrillation. Over the past 24 years, the meeting has become a major scientific forum at which health care professionals have a unique opportunity to learn about advances in research and therapeutics directly from many of the most eminent investigators in the field. This intensive, highly focused three-day symposium brings together the world’s leading medical scientists to share in a highly interactive environment the most recent advances in the field of atrial fibrillation. The primary objective of the meeting is to provide attendees with a thorough and practical course on the current state of the art in the field of atrial fibrillation in a scholarly and collegial atmosphere, as well as an opportunity to network with colleagues and faculty between sessions. The meeting employs advanced teaching tools including real-time case presentations as well as an interactive audience response system to share with attendees the most current basic, translational and clinical science in the field. The past two decades have witnessed dramatic advances in all areas of AF research. These developments have contributed to major progress in the understanding of the pathophysiology of this arrhythmia and to the development of safer and more effective strategies for the management of AF and the prevention of AF-related stroke. 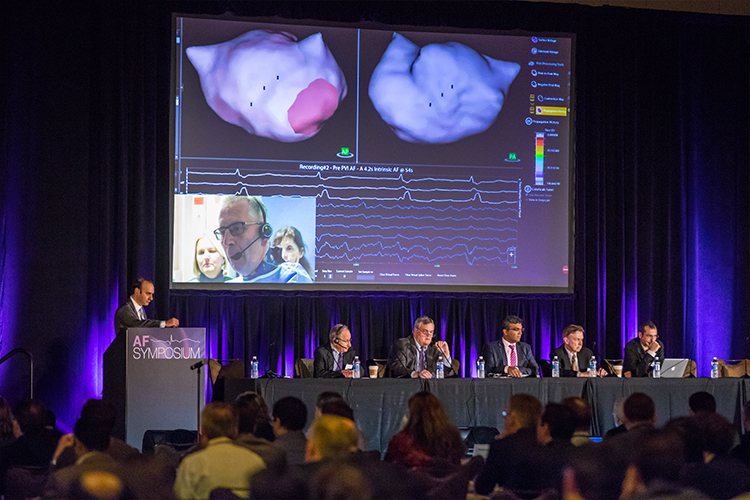 The AF Symposium is dedicated to bringing these advances tour attendees each year in an exceptionally organized and exciting scientific program. We are delighted to return to the Seaport World Trade Center for the 2019 meeting. In celebration of our return to Boston we invite you to join us for an evening at the John F. Kennedy Presidential Library, including dinner, networking and optional guided tours.